There are many variables for the families of Alzheimer’s patients to consider, one of which is the financial aspect of the long-term care. The progressiveness and longevity of the disease makes it difficult to determine the cost of long-term care. However, by exploring all your options and planning for care services early, you can help your loved one receive the best care possible. Paying out-of-pocket for in-home nursing care or for residence in an adult family home or skilled nursing facility can represent a great financial burden for individuals with Alzheimer’s disease and their families. Due to the often high cost of these services, it may not be feasible to cover the expenses on your own. However, there are other options, one of which is insurance. Many private insurance plans, as well as the government program Medicaid, offer financing options for skilled nursing care. In addition to traditional health insurance, some life insurance policies allow funds to be allocated to long-term care. While Medicare does not pay for in-home or residential care, Medicaid funds can be used to finance this type of care for eligible individuals. In order to qualify for Medicaid, your assets must fall below a certain threshold. Your state Medicaid office can help you determine the eligibility of your loved one for nursing home benefits or other programs offered by Medicaid. For individuals who do not qualify for Medicaid or other government programs, private insurance policies specifically dedicated to long-term care can be a good alternative.  Such insurance policies vary widely and can range from very basic, such as only covering nursing-home care, to comprehensive. Services offered can include assistance for in-home care, medical supplies, and other products and services. Former military personnel and federal government employees could receive a discounted rate for these insurance plans. Mindful planning and research can help your loved one receive the care that they need within the budget that best suits you. Edison Home Health Care is happy to provide financial advice for you or any loved one. Give us a call at 888-311-1142, or fill out a contact form and we will respond shortly.